From 1988 to 1999 D’arcy Wretzky played bass for Smashing Pumpkins, one of the most influential bands in alternative rock history. However she left the band in 1999 to pursue a career in acting. Ever since then there have been floods of rumors about her return to the band, but of course those were just rumors as she has never returned. Recently there have been flirtations from the bands frontman Billy Corgan that the original lineup of the band (which included Wretzky) would be joining forces once again. The band also launched a countdown clock on their website with it set to end on February 15 at noon, leading fans to believe that the orginal lineup would be getting back together. Connected to the clock was a photo of Corgan in the studio with original guitarist James Iha and original drummer Jimmy Chamberlain. Strangely Wretzky was left out of the photo. The 49 year old confirmed in an interview with BlastEcho that she will not be part of the reunion. 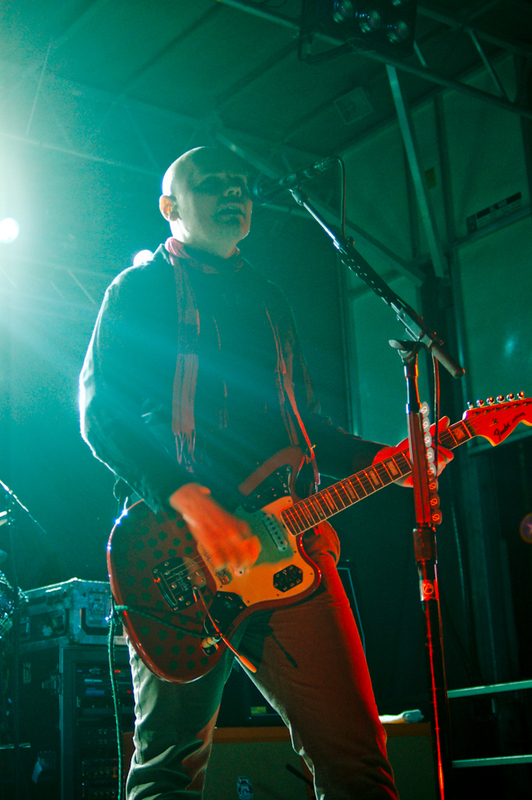 Wretzky explained in a previous interview that Corgan began to speak with her about the band’s reformation and even extended an offer to join the band again, but then the offer was quickly rescinded. Wrtezky is credited with recording bass on the band’s first five studio albums Gish, Siamese Dream, Melon Collie and Infinite Sadness, Adore and Machina/The Machines of God. It was reported by legendary producer Butch Vig that Corgan recorded most of the bass parts on Gish and Siamese Dream. Fans should expect a tour and new music to happen without Wretzky but only time will tell if she is out of the band for good.